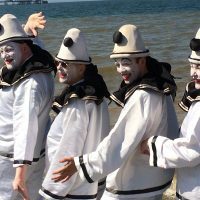 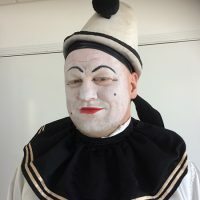 The performing skills and techniques of the pierrots and concert parties have been neglected in recent years. 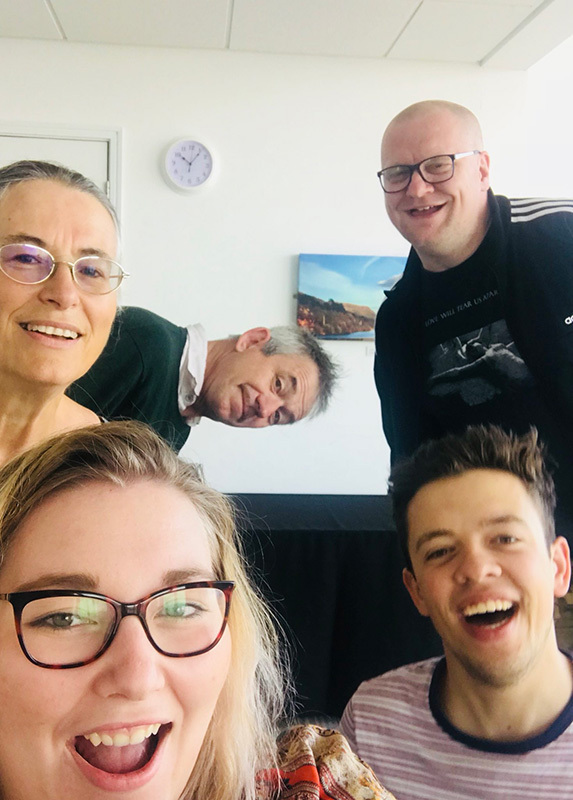 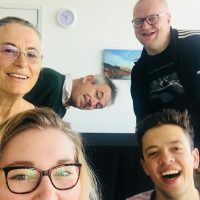 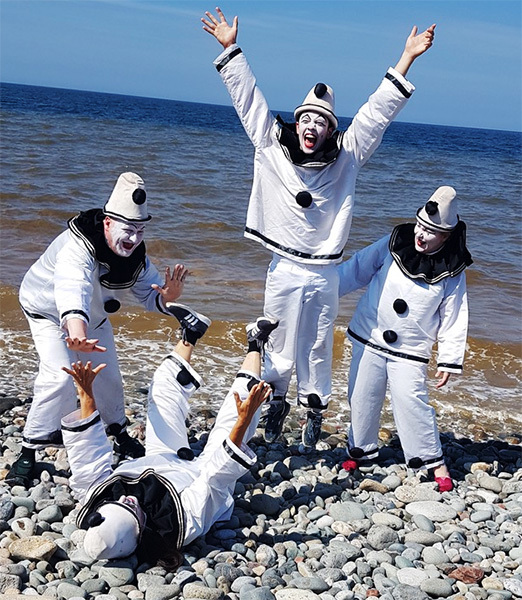 This project has re-introduced this lively, fun and multi-skilled art form to Llandudno by offering training for local professionals and young people. 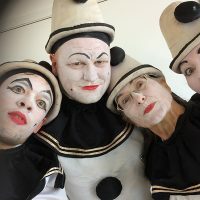 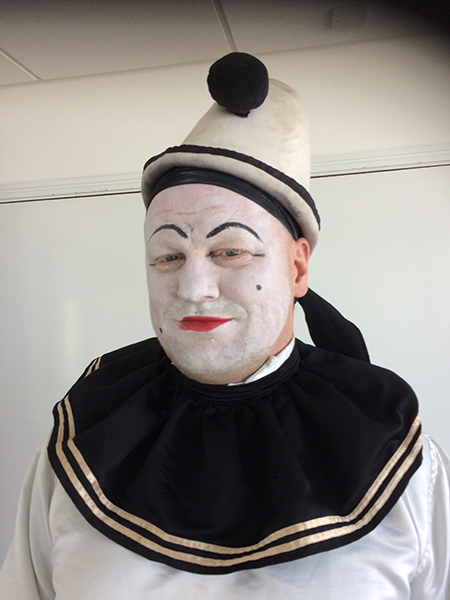 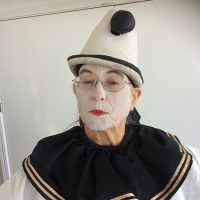 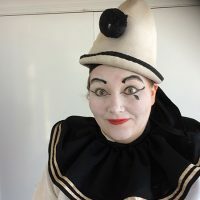 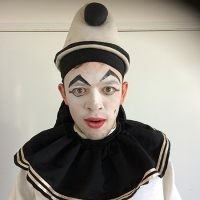 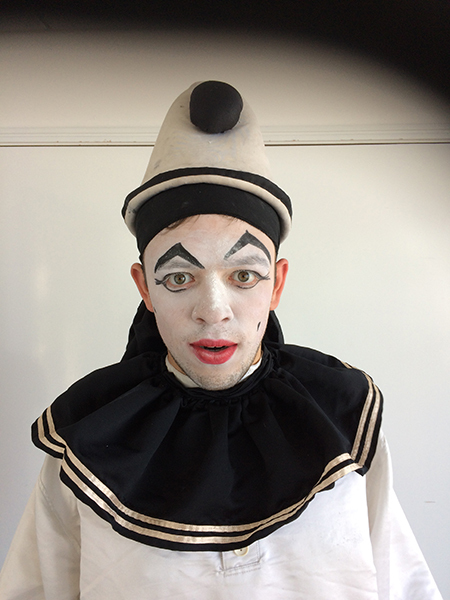 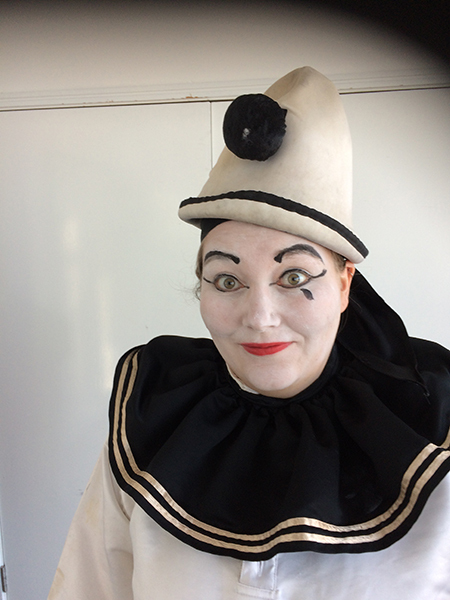 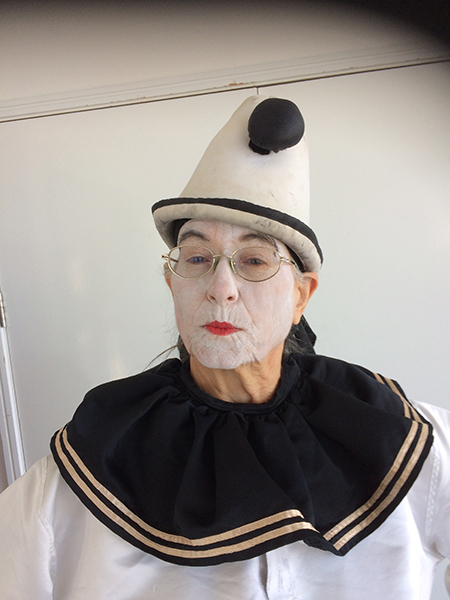 In May 2018, a 2 day training course was held at Venue Cymru by Dr Lidington, with the result that a group of local creative practitioners gained and insight into the history of pierrots and learned some of the techniques and skills that could be employed both in their own practice and with the various local community groups for which they are responsible. 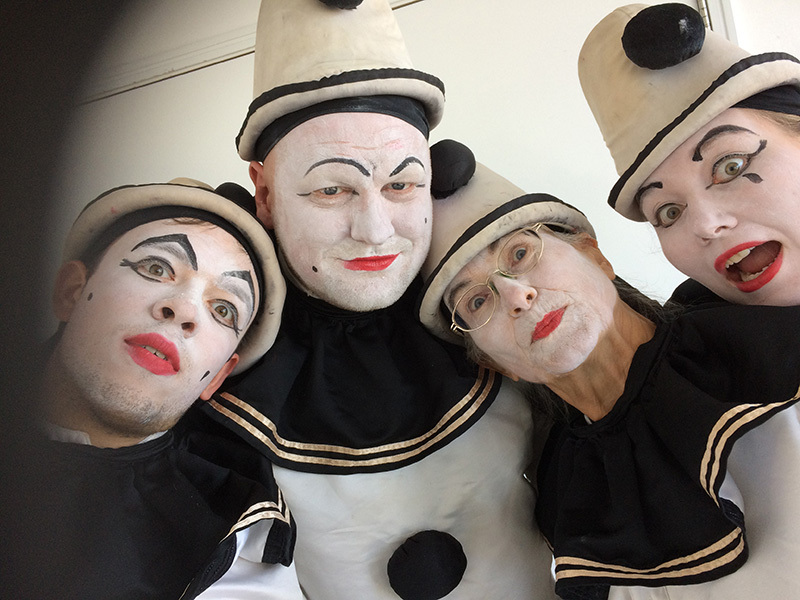 In Summer 2018, 8 young people worked for an intensive week with Dr Lidington & Malcolm Boyle (AKA Uncle Tacko! 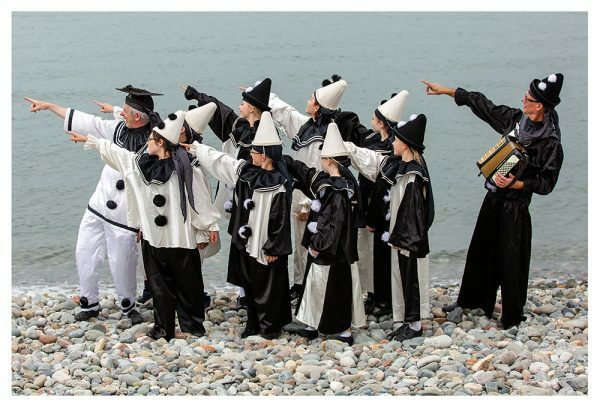 & Mister Macko of ‘The New Follies’) to create a youth troupe of pierrots – ‘The Jollies’. 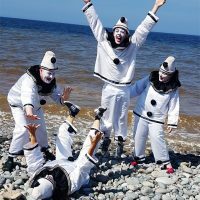 ‘The Jollies’ performed for the first time on Landudno seafront (appropriately opposite Catlin’s Cafe of Venue Cymru), on Friday 3rd August 2018. 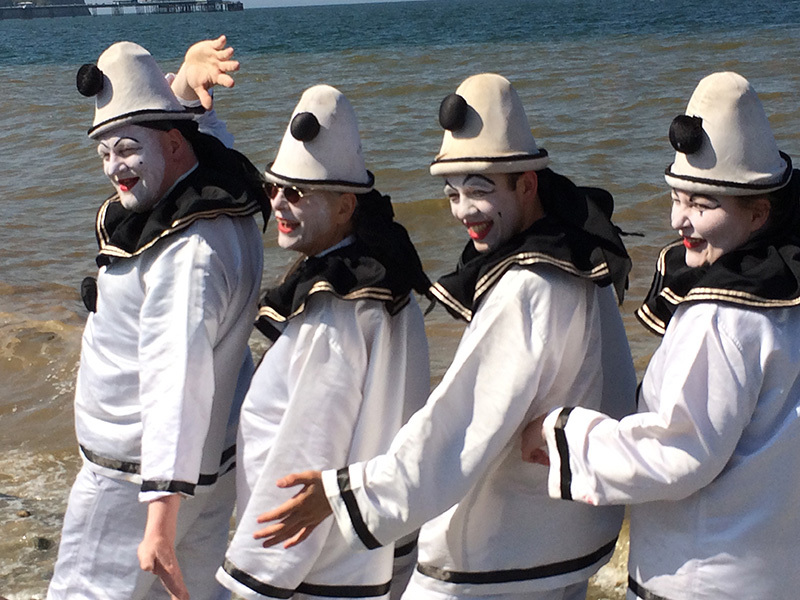 They will be performing alongside ‘The New Follies’ on Saturday 29th September 2018 as part of the ‘Seaside Follies’ grand finale along Llandudno promenade.